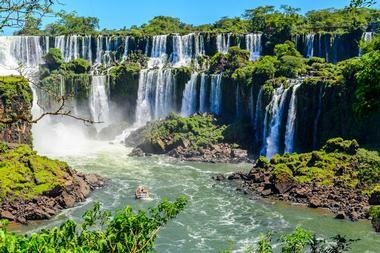 This massive country in the southernmost part of South America is the birthplace of mate, gaucho pants, and the tango. It is well known for its delicious steaks, made from the beef cattle that are so populous in the country, and for the red wines that grow so well in its climate, especially malbecs. 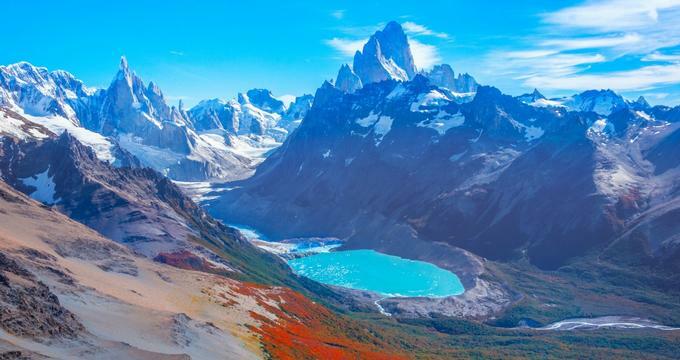 Argentina is full of such diverse climates and nature, from the ice fields and glaciers of Patagonia, the tropical rainforests at Iguazu National Park, and the penguins and subantarctic forests of Tierra del Fuego. 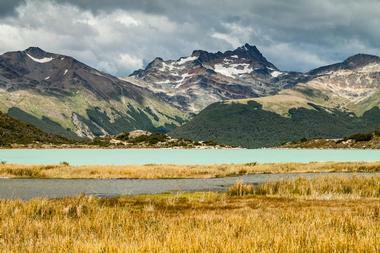 From its history to its music to its people, Argentina is a place that belongs on everyone’s bucket list. 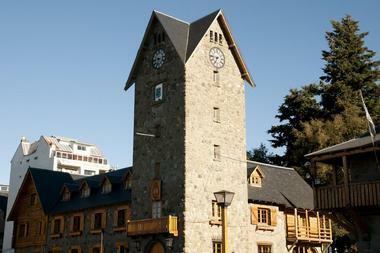 Bariloche is located in the Lake District of Argentina’s Patagonia region. Surrounded by the beautiful high peaks of the Andes Mountains, dotted with blue lakes, and hemmed in by thick forests, Bariloche is a great destination for the outdoor enthusiast. In the summer, the land is perfect for hiking, boating, kayaking, or horseback riding, and in the winter, Bariloche turns into a winter wonderland for skiing and snowboarding down the slopes of the surrounding mountains. Bariloche is also the chocolate capital of Argentina, with fresh chocolate sold everywhere, often in the unique shape of a gnome. 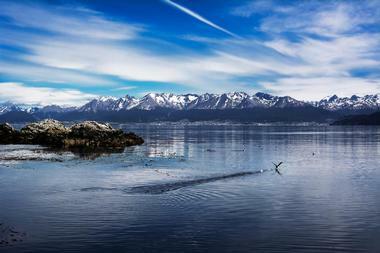 The Beagle Channel is a strait that separates the Tiera del Fuego archipelago from the South American mainland. Traversing the waters of the Beagle Channel will afford visitors views of the many islands in the archipelago and the wildlife that lives there. On Alicia Island, or Isla de los Lobos, visitors will see the sea lions and seals that live there in abundance, and on Isla de los Pájaros they will spot some of the birds that make the island their home. With a beautiful lighthouse to round out the sightseeing trip, and a stop to learn about local flora and fauna on Bridges Island, Beagle Channel offers an opportunity for a spectacular day trip. The capital city of Argentina is the birthplace of tango, and has great food, a plethora of culture, and a nightlife that is bound to continue into the wee hours of the next morning. In Buenos Aires, travelers can enjoy some of the best malbecs in the world with delicious Argentinian steak, or drink traditional mate tea and munch on the sweet dulce de leche-esque alfajores. 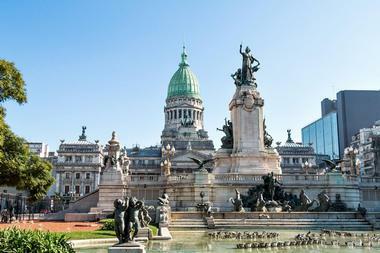 There are large green spaces for walking and relaxing, theaters, museums, and plenty of history in the cobblestone streets and old buildings of the city, like the Plaza de Mayo and the Feria de Mataderos. The town of Cachi, a name which means “salt”, was mistakenly called so when nearby Nevado Hill was originally mistaken for a salt mine. 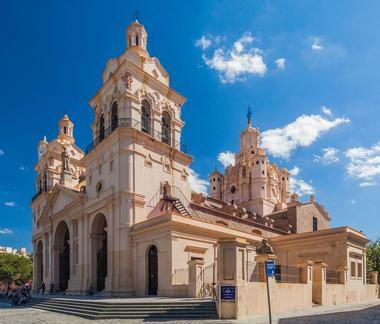 In this small town, which is located in the northern Salta region of Argentina, visitors can enjoy comfortable weather while they explore the main attractions of the area, which include Cachi Church and the Cachi Archeological Museum, where discoveries from the local region are on display. Also nearby is the Valle Encantado, which is home to some impressive rock formations that have been sculpted over the years by erosion, and Los Cardones National Park, a huge desert area that contains many animal and plant species. 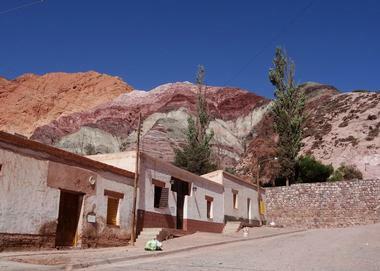 Cafayate is located in the northern region of the country, and it is well known for its vineyards. Despite this fame, a visit to Cafayate still feels like a visit to a small town, one with delicious restaurants and, of course, a fantastic selection of wine. In the Museo de la Vid y el Vino, visitors can learn all about the winemaking process and the history of winemaking in the region, and at one of the bodegas in the area, they can try the wines they just learned about. Cafayate is most famous for a type of grape called torrontés, but it is also well known for making delicious malbec, cabernet, and tannat. 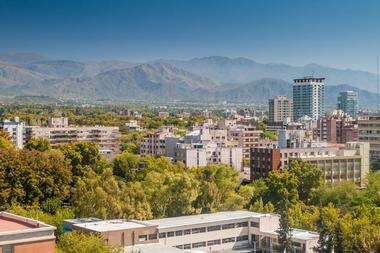 Located in central Argentina, Cordoba is a city that is well known for its distinctive Spanish-style architecture. Due to the mountains that surround it on all sides, Cordoba has somewhat of a microclimate that is much milder than some of the desert areas around it. 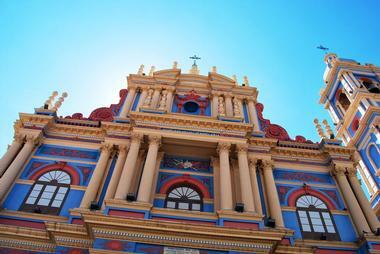 The city is beautiful, with plenty of old architecture and history for visitors to enjoy, including a cathedral and the cabildo. Those looking for some adventure can head outside the city, where they will find opportunities for ATV tours, cycling, and hiking. At night, visitors can hear the cuarteto music that Cordoba is known for as they dance the night away in one of its nightclubs. 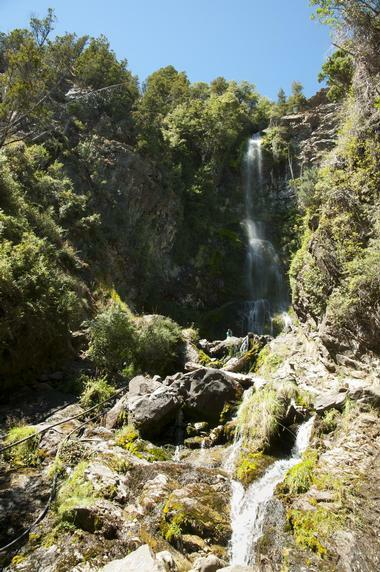 Tucked away in a valley of the Andes, near the Chilean border, is El Bolson, a small town with a lot to offer. 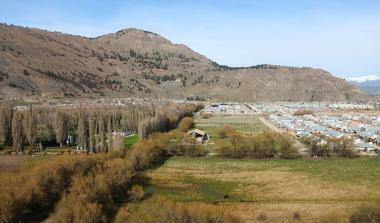 Known for being the gateway to other mountain towns on the 42nd parallel, El Bolson has a small town feel that is valued immensely by its residents. The town is famous for the beer that is made there, brewed with local hops. In this small region of Argentina alone, there is such a number of microbreweries that there is even the Chamber of Microbreweries that was formed to support the industry’s growth. Between the beverages and the beautiful nature of the Andes Mountains, visitors to El Bolson are sure to have a great time. El Calafate is often called the gateway to Argentina’s Los Glaciares National Park, as it is located at the southern edge of the massive ice field. 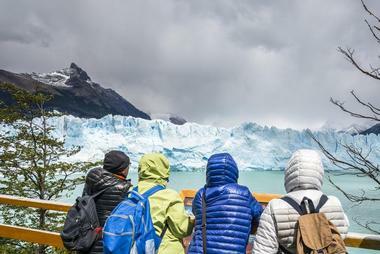 Visitors can easily use El Calafate as a base for exploring the park, where they can hike and sightsee to find the Perito Moreno Glacier, and if they are lucky, may even see it calve. There are also many other glaciers in the park as well as some jagged and beautiful mountains. In El Calafate itself, tourists can visit the Glaciarium, an educational museum that will teach its guests about glaciers and the history of the Patagonian Ice Fields. Inside Los Glaciares National Park is the village of El Chalten, which is a veritable paradise for those who love hiking, camping, and the great outdoors. It is well known as the Argentinian capital of hiking and trekking, and hikers can gain some truly spectacular views of the Southern Patagonian Ice Field, which is the second most important continental ice mass in the world after Antarctica. The drive to El Chalten is in itself worth the trip, as it will take visitors through Los Glaciares for more than 200 kilometers, with views of mountains, landscapes and, of course, glaciers. 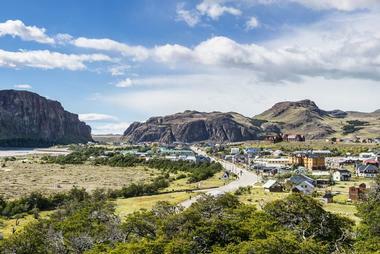 The village itself is quite small, but visitors will find everything they need, from shops and restaurants to hotels, before heading out into the beautiful wilderness right at El Chalten’s doorstep. Situated in the foothills of the Chubut range of the Andes, Esquel is a relaxed town known best for La Trochita, an early 20th-century steam train. Tourists in Esquel can take a leisurely ride on the antique train, known as the Old Patagonian Express, between Esquel and El Maiten. In Esquel, there is a historical museum, where visitors can learn about the history of the region, and plenty of shops selling handmade and local goods and crafts. Esquel is also a great place to get in touch with Argentinian wildlife, and nearby Los Alerces National Park and La Hoya Mountain are both wonderful places for a hike or a day spent outdoors enjoying nature. This subtropical rainforest, located in the northeast corner of Argentina near the borders with Paraguay and Brazil, is a beautiful park famous for its huge cascades and waterfalls. Iguazu Falls, a massive semicircle waterfall, is more than 260 feet high and more than a mile and a half in diameter, forming an impressive border between Argentina and Brazil, with cascading water that drops over levels of sheer rock and green canopies of trees amidst the spray like the very picture of a tropical paradise. Several other waterfalls, like Garganta del Diablo, as well as the wildlife within the park, which includes animals like jaguars and toucans, make this park an absolute must-see. 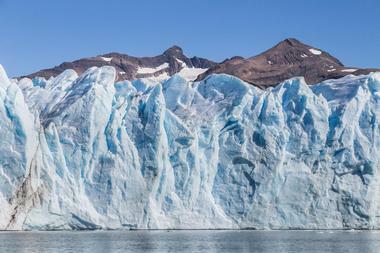 The glaciers within Los Glaciares National Park are countless and incredibly stunning to witness. The most famous of these is Perito Moreno, a massive (around one hundred square miles) glacier that is famous for its dramatic calving and icefalls into Lake Argentino below. These glaciers are all part of the South Patagonian Ice Field, a huge continental ice mass that has more global significance than any other of its kind with the exception of Antarctica. Inside the park there are also many rugged and beautiful mountains, including Mount Fitz Roy. Visitors to Los Glaciares can hike, drive, and ski through these icy landscapes, and prepare to be floored by everything that they see. 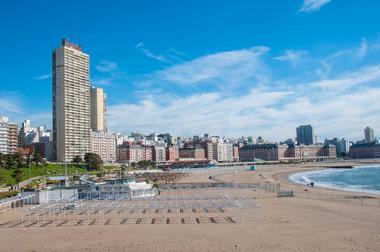 On the coast of the Atlantic, Mar del Plata is one of Argentina’s most famous resort cities. With a long line of beaches along the coast, including Playa Grande, Punta Iglesia, and Punta Mogotes, which are great for sunbathing, swimming, and have some great waves for surfing, Mar del Plata is a beautiful destination for a holiday in the sun. A bit further inland, Mar del Plata is home to some historic houses and buildings from the 19th and 20th centuries, many of which are now shops and museums. 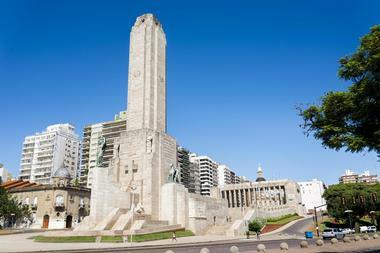 Visitors to Mar del Plata can enjoy some local cuisine, from bitter mate to delicious steak and empanadas, check out some of the boutiques and shops on Güemes, and learn about the history of the region in the Museo del Mar. Mendoza is the center of wine country in Argentina, and once here lovers of red wine will never want to leave this place. Some of the best malbecs in the world are made in and around Mendoza, and tourists will find no shortage of wineries to visit, where they can tour the grounds and, of course, taste some of the wine. As is to be expected in a region known for its wine, the restaurants in Mendoza are also top notch, with plenty of meals designed specifically around the delicious cabernets and malbecs made in the area. With festivals and events throughout the year to celebrate the wine industry, Mendoza is like a pilgrimage site for wine aficionados and is definitely not to be missed. 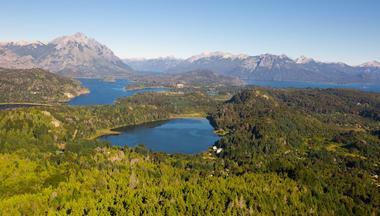 Nahuel Huapi National Park is named for Nahuel Huapi, the largest glacial lake within its borders. This park is located within the lake district of Argentina, with the gorgeous and jagged Andes as a tall snow-capped backdrop on the western edge. Nahuel Huapi is home to some beautiful nature and hiking, and visitors can even see Mount Tronador, which is a dormant volcano. 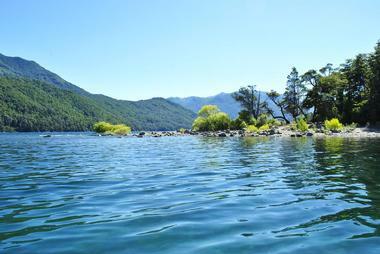 It’s one of the oldest parks in Argentina and, with over one million acres of lakes, forests, rivers, and meadows packed with native wildflowers, visitors will pretty much never run out of places to explore. 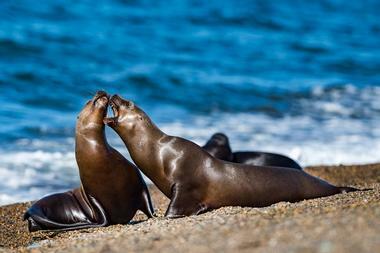 Puerto Madryn is a coastal city in Patagonia, located on shores of the Nuevo Gulf. It was founded in the 19th century by Welsh immigrants who came on a ship called the Mimosa, and there is a lot of fascinating history to be found in the older parts of the city. Puerto Madryn is quite close in proximity to Peninsula de Valdes, which is a great spot for whale watching and contains a massive amount of marine life. Visitors to Puerto Madryn can easily head to the peninsula, where they will find elephant seals, orcas, and penguins that have migrated from Antarctica. The Seven Color Hill rises above the village of Purmamarca, a multicolored mountain in stunning shades of red, yellow, purple, green, and more, set against a sky of deepest blue. Purmamarca is situated directly on the Inca Road, and its history as a village extends back into the 16th century. Today, it’s a small village with a lot of spirit, with colorful craft fairs, fantastic little restaurants serving delicious Argentinian dishes, and great hotels in historic buildings with a personal touch. The Red Colors Walk offers tourists the opportunity to hike into the wilderness, where they will find cliffs and hills in a rainbow of colors due to the mineral deposits left there over the millennia. Rosario has an illustrious history, as it is the birthplace of both the Argentinian flag as well as of Che Guevara, the countercultural revolutionary of the Cuban Revolution. A river port about 300km from capital city Buenos Aires, the riverbank is lined with old buildings that have now been converted into galleries and restaurants for tourists and locals alike. There is a monument in Rosario to the national flag of Argentina, history-packed walking routes, and museums devoted to history and the fine arts. The scenic parks and riverside walks in Rosario make it a lovely place to visit, with all the comforts and amenities of a major city yet all the charm of a small town. 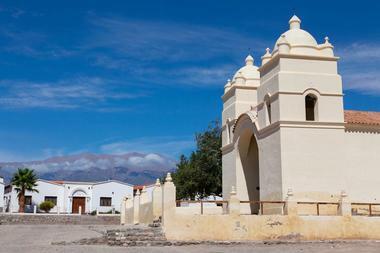 High in the mountains of northwestern Argentina is Salta, a 16th-century city known for its history and heritage. A visit to the Museo de Arqueología de Alta Montaña will teach its guests about the history and culture of the Incan people who once lived in these mountains, and displays artifacts from Incan culture, including mummies found in the region. On the Plaza 9 de Julio, tourists will find cafes, shops, and historic buildings like the Salta Cathedral as well as the old town hall, El Cabildo, which is now a historical museum. 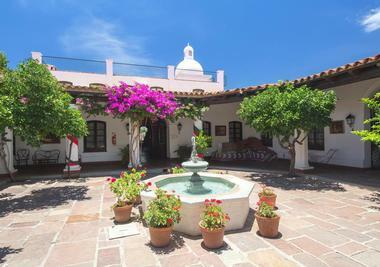 In the evenings, visitors can step into a peña, or folk concert, to hear traditional music, eat some good food, and dance the night away. San Martin de los Andes is located in northwest Patagonia, on the border of Lanín National Park, where visitors will find the Lanín Volcano. In Lanín National Park, visitors can hike, climb, and explore the glacial landscape, including Lácar Lake, a glacial lake that butts up against the town of San Martin de los Andes. In town, visitors can explore the Museo de los Pioneros, which displays information and artifacts about the European pioneers who first settled the area as well as the indigenous people who were there first, or explore the streets and get a feel for the distinctive mountain architecture. 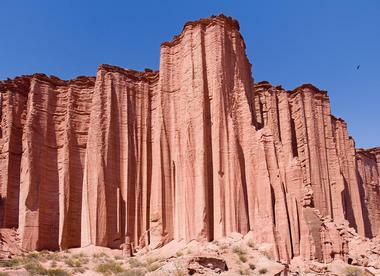 Huge red walls of stone rise up from the barren desolation of the desert in Talampaya National Park, which is located in central Argentina on the eastern border of the Andes, in the province of La Rioja. The canyon in this park was once home to dinosaurs, and numerous important fossils and footprints of beasts long extinct have been found here in the red stone. The park is open for exploration by foot, bike, or ATV, but it is highly recommended that Talampaya National Park be explored with the help of a knowledgeable guide, who can show visitors around and explain the history behind this beautiful and unique place. The island of Tierra del Fuego, at the southernmost tip of South America, belongs to both the nations of Chile and Argentina, and the Argentinian part of the island was declared a national park in 1960 in order to preserve the subantarctic forests and natural life in that region. The forests here are old, densely covered in moss and peat, which grow on the ground and hang from the branches of trees. The coves and rough coastlines of the island make it a haven for marine life, and the diverse habitats on land make it suitable for a variety of birds and animals, like foxes, otters, and beavers, to name just a few. Just a short drive from Buenos Aires, Tigre is a great destination for a day trip while staying in the country’s much busier capital city. 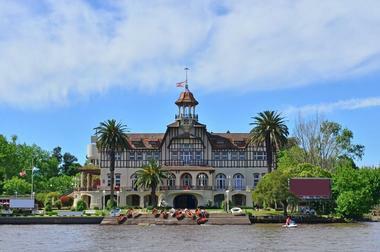 Located on the river, Tigre is a bustling port town with plenty of daily markets for tourists to wander around, which sell local produce and food, but also plenty of handmade goods like furniture and trinkets made of wicker and reed. After trying the famous Argentinian drink mate, which is like a bitter green tea, tourists can visit El Museo del Mate to learn more about Argentina’s favorite obsession. Tigre is also home to an art museum, a naval museum, and a history museum, so a day trip here is sure to be not only fun, but also full of culture. 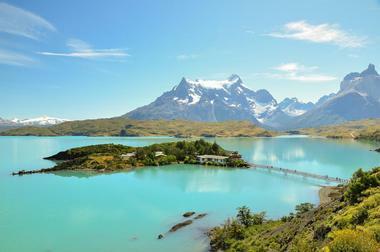 Torres del Paine National Park is actually located just over the Argentinian border in the Patagonian region of Chile. It is known for its stunning landscapes, filled with jagged mountains that stretch endlessly up into the sky, vast grasslands, which are known as pampas, and the massive glaciers, which calve to create huge blue icebergs. Visitors here will be amazed at the colorful blue hue of the icefields and glaciers, and the views from some of the hikes are simply breathtaking, so much so that in 2013 it was declared the eighth wonder of the world. At the very southern tip of the Tierra del Fuego is Ushuaia, nicknamed “The End of the World” because of its location as the southernmost city on the planet. Accessible via the Beagle Channel, Ushuaia is a beautiful port city with easy access to the islands in the Tierra del Fuego archipelago and Tierra del Fuego National Park. 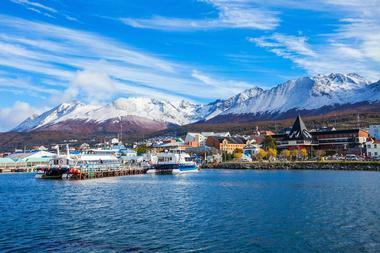 There are also cruise ships that leave from Ushuaia’s port heading for Cape Horn in Africa and also Antarctica. In the winter, there is ample opportunity for skiing, and in the summer, visitors can hike or take a boat tour of the Beagle Channel.